The Duette Fire & Rescue Association Inc.
One of The Duette Fire & Rescue Association's oldest traditions is the annual christmas party for the public providing christmas gifts to the less fortunate whether they live in the district or not. The association averages about 150 kids each year who get a chance to visit Santa and recieve a gift. Many are children of Migrant workers in the area and those less fortunate who may not have gotten anything otherwise. The Duette Fire & Rescue Association also provides during times of natural disaster or crisis much need food and water supplies. For example during Hurricane Irma in 2017 many were without power for weeks. The Association opened the station to provide folks hot showers, a meal and distribute food and water to those in need. Many donations came in even all the way from Indiana. Much of the donations were distributed throughout the many hard hit areas of Florida and also Puerto Rico. Your donantions make a difference even outside of Duette. 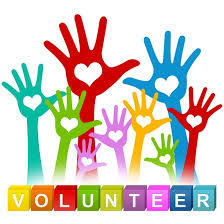 Do you have a need, a question, or would like more information on Volunteering? You may choose a support role as in driving apparatus and scene support. With the Florida "Grow as You GO" Modular training you can complete as you like.